The new entity will combine the forces, excellent track record and reputation of Capital and Liberty with the aim to provide commercial and technical ship operating platforms across different shipping segments and sizes in the German shipping market. The Joint Venture will seek growth opportunities in the container segment, ranging from feeder to Post-Panamax vessels, as well as in the crude and product tanker, dry bulk and multi-purpose vessels (MPP) segments. The Joint Venture commenced operations in January 2018 and is based out of the Liberty offices in Leer and headed by Liberty CEO, Dietrich Schulz. Capital Ship Management Corp. ('Capital') is a distinguished oceangoing vessel operator, offering comprehensive services in every aspect of ship management. Capital and its affiliates currently operate a fleet of 74 vessels including 49 tankers (14 VLCCs, 5 Suezmaxes, 2 Aframax, 27 MR/Handy product tankers and 1 small tanker), 6 bulk carriers (4 modern Capesize and 2 handy bulk carriers) and 19 container vessels (15 Post-Panamax and 4 feeder container carriers) with a total dwt of 9 million tons approx. Capital is a subsidiary of Capital Maritime & Trading Corp. 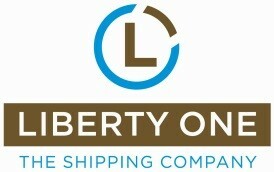 The fleet under management includes the vessels of Nasdaq-listed Capital Product Partners L.P.
Liberty is a one stop shop for the maritime industry. Designed to combine amongst others shipmanagement by Liberty Blue, experience in asset trading and a strong standing in the German shipping market.